I'd guess that must be a combo of athletic and academic scholarship for a full ride. With only 11.7 scholarships for 27 players full rides are rare these days. And that's assuming Wright St is fully funded which a lot of D1 programs are not. Regardless, you can't blame the kid. It's a good move on multiple levels for him. Wright St is a good program and it's a no brainer financially. I hope he does well. It is possible that just part is an athletic scholarship part is academic based. Several players have taken this route to the majors - think of Charlie Furbush (S. Joe Maine -> LSU) and Joe Paterson (Linfield -> Oregon). The additional exposure will not hurt. I saw that Mount added Evan Knott as an assistant coach. I do not see Ryan Armstrong listed as an assistant currently. I certainly hope that's just a case of the site not being up to date. They need him around. Marietta has posted their 2016 schedule and it looks to be another tough one. 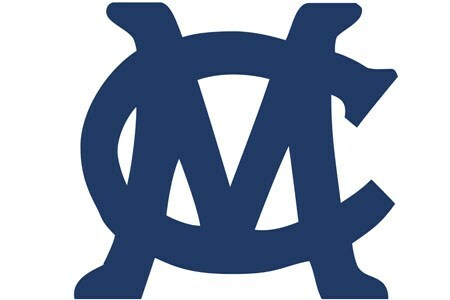 http://pioneers.marietta.edu/schedule.aspx?path=baseball. Their out of conference schedule includes last year's #1 Cortland, #2 Frostburg, #10 Birmingham Southern, #22 Methodist, #24 Wooster, as well as regional qualifiers LaRoche and Adrian. Their strength of schedule should be off the charts especially since the OAC always has several strong teams as well. I actually think the OAC takes a slight step back this year and won't be quite as tough as last year. Lots of graduation and attrition have impacted the top programs (including Marietta). While the league will still be very competitive, I don't think it will be as good as it was in 2015. Marietta: Lost a big portion of their offense with Hannahan, Geers, and Winpiggler. They do return most of a pretty good pitching staff (Including Herstine and Crowl). JCU: Lost Sabatino, Huddle, and Drew Doring and Libertini from their pitching staff. LaPaglia and Maddern are key arms returning and Rob Cifelli and Tyler Gentile are key returners as well. BW: Key losses: Zac Ferster, Kyle Chontos and Eric Murphy. Corey Waite from their pitching staff (though he had a rough year last year). They return the rest of their pitching staff (who didn't put up great numbers) and a lot of offensive punch. I think BW is going to be very good again this year. Berg: Key losses: Eric Monroe, Alex Grove, Steven Morse, Christian Verde, and top two pitchers Adam Manner and Derek Hendrixson, who was maybe the most important pitcher to their team of anyone in the OAC. Returning are Derek Hug, TJ Harkness and Evan Long. The OAC may look like it will be slightly down this year, but most of the strong programs should have players ready to step in and contribute. I expect Baldwin Wallace to be the favorite this year. As EttaFan indicated, a lot of offense returns. Ohio Northern was left off your list and they should be in the mix as well. They have no significant pitching loss, and they led the OAC in ERA last year. However, they do have a lot of offense to replace from the graduation of LaMarca & Belliveau. They may not be the favorite, but due to their pitching strength they should be mentioned with the contenders for this season. I don't have high hopes for Mount in 2016. Not that I think they'll be bad or anything, but just not good enough to contend. I'll share more once they post the roster and I can see who is on the team. Always a question mark for baseball with who is or isn't coming back after that holiday break. I think BW is going to be tough. I'm interested to see how much Zimmerman pitches this year. He didn't really pitch much at first when he got to BW which surprised me because he was an excellent pitcher in HS. Then last year he started getting a fair amount of innings on the mound. I agree about ONU, they have some quality pitching. I would say that Marietta would not be my favorite at this point because there are number of questions about how they will score runs. I think the pitching staff will be pretty good, but somebody is going to have to hit the ball in key situations, and that to me is concerning. I would also pick BW as the favorite early on, although other than Zimmerman, I'm not sold on their pitching staff. They have the fire power on offense to get it done. Otterbein is an unknown at this point, and Mount would also be a bit of an unknown. Capital, Muskingum and Wilmington have way too much ground to make up to be contenders for one of the four spots, IMO. To me this is how I view it. The three likely to make the OAC Tourney: Marietta, BW, and JCU. The legitimate contenders for the fourth spot: ONU and Berg. Can make some noise and push their way in: Mount and Otterbein. Taking up space on everyone's schedule. Wilmington, Capital. and Muskingum. Seems pretty similar to past years. Mostly middle of the road teams again. Wartburg should be a good challenge. SJF is usually pretty good too. SFJ is better than their record. They started out slow last year. Marietta will be tested early and often this season. They open up with last year's champs, and the tough schedule doesn't slow down much. Here some "big games." Definitely one of the toughest schedules in the country. That is a really tough schedule. I do not see any walk overs in that line up. Though Adrian, La Roche, Case and W&J aren't ranked, they have been regular attendees in the regional tournaments the past few years. Let's not forget about John Carroll or Ohio Northern either who should also be quite strong this year. I'd like to see a team who faces a tougher schedule (on paper at least) this year than Marietta.